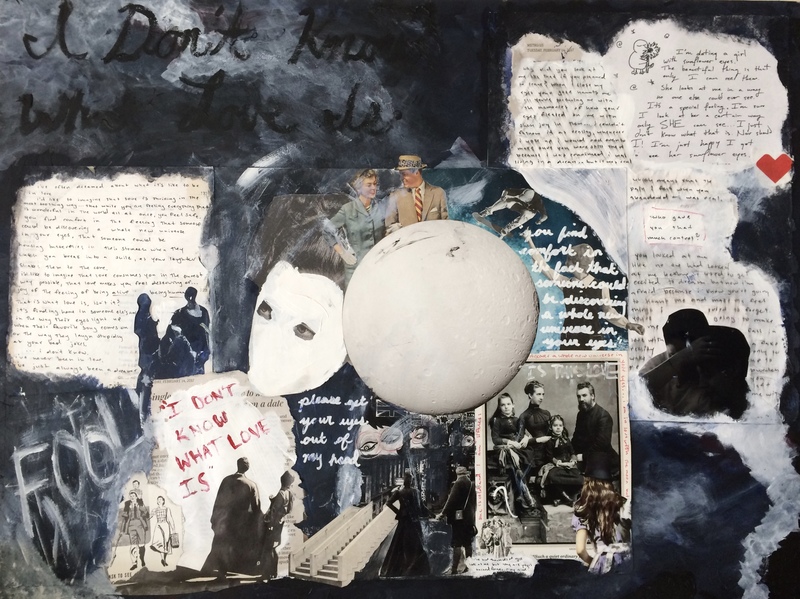 I did not end up bringing these collages into class to present because I genuinely do not trust the students in my class with work as personal as this. I knew that I had to make a decision- hold back for the sake of the class or dive in and open up as much as I’m comfortable with. It seemed ridiculous to me that I was finally making something important to me yet I felt I had to change it to please the class. 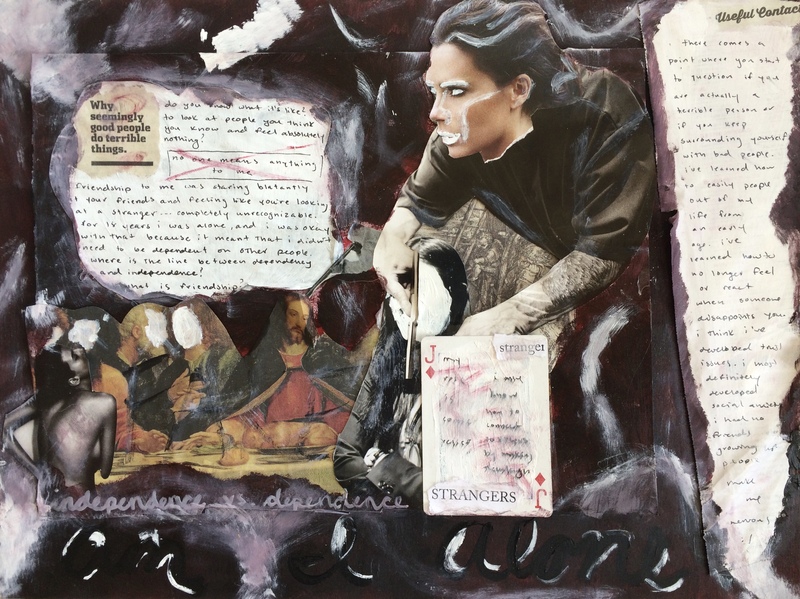 Essentially what I wrote for these pieces came from really dark places in my life, so I’m picky really as to who I let view them; I make work for myself not for the sake of the classroom. I’m really happy with what I ended up making and plan to make more work like this in the future. If this damages my grade then so be it, though the anxiety behind presenting these to the class was far too great for me to overcome.